Add all ingredients (except the Simple Syrup) to a large sauce pan and bring to a boil. Stir and reduce the heat to low. Cover and simmer for 30 minutes. Remove from the heat and let cool. Refrigerate overnight. Strain through a coffee filter into a bowl or large measuring cup (yields about 3 cups). Add an equal measure of Rich Simple Syrup: (2 parts sugar: 1 part water, boiled to dissolve) and transfer to a clean stoppered bottle. Store in the refrigerator for up to 3 months. Yields about 6 cups. 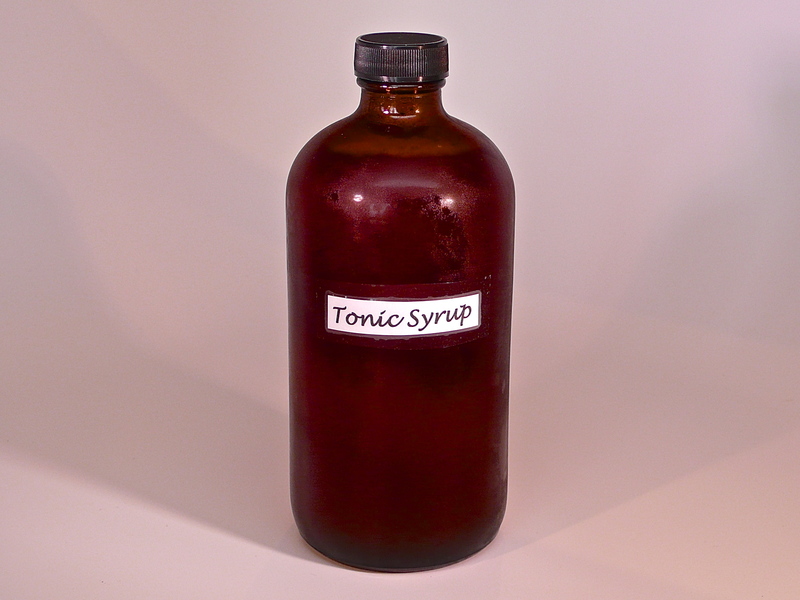 Fill your camel pack with our Tonic Syrup if you plan on battling the Anopheles mosquito as you float the Amazon. Or better still, use it in cocktails! 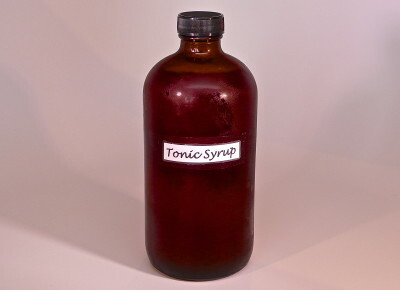 Tonic (Quinine) Syrup provides a sweet, deep, and complex tasting bitter element to use in concoctions like a Homemade Gin & Tonic, our Tequila Tonic, or many others. Leave it to the British to mix alcohol with their anti-malarial prophylaxis. Leave us to wonder, as well, why we are still drawn to that bitter taste today! 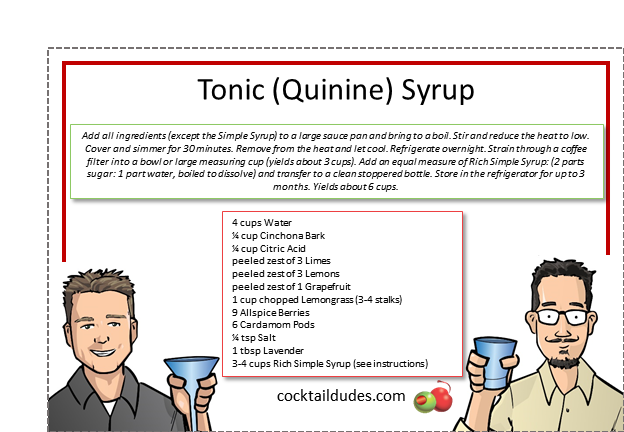 Quinine is the medicinal portion of this syrup and comes from the bark of the Peruvian Cinchona tree. This is what gives the cocktail its distinctive bitterness (and what cured countless numbers from the morbidity of malaria). We got the recipe from the New York Times, though we tweaked it so as to make a 2-3 day process one which you can accomplish over night.